Any pediatric dentist will tell you that sugar is definitely not the best choice for your teeth or your braces. Consuming too many sugary foods can cause some tooth damage! However, we understand that it is not realistic to expect our patients to never have dessert! If you’re going to treat yourself, we recommend that you opt for ice cream or frozen yogurt. Dairy is great for building healthy teeth and bones, so you can balance out the sugar in your dessert with a few health benefits like calcium and probiotics (found in frozen yogurt). 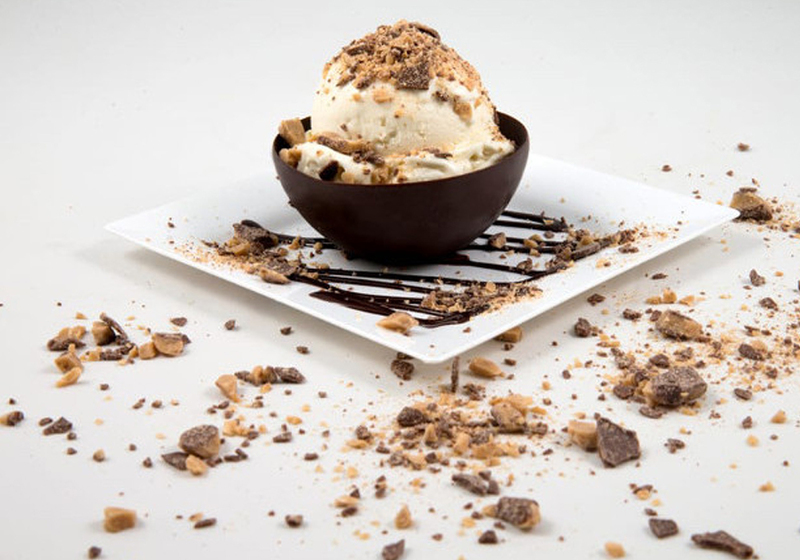 Here are some of our favorite ice cream and frozen yogurt spots right here in Katy, Texas! Royal Berry Bar offers a diverse menu with options like real fruit smoothies made with yogurt, boba, frozen yogurt, and various coffee beverages. While a lot of these treats are very high in sugar, most of them can be consumed through a straw, which will minimize the damage done to your teeth. Creamistry is a national chain that serves made-to-order ice cream that is instantly frozen with liquid nitrogen right before the customer’s eyes. It is a sight to see! Their ice cream is completely customizable. You can even choose from vegan and dairy free bases like soy and cashew milk! Menchie’s is a national chain of self-serve frozen yogurt shops where customers create their own flavor combinations and set their own serving size. These kinds of shops are great if you just want a little something sweet, want a custom flavor mix, or if you want to control your child’s portion size! We have a location conveniently located right here in Katy. Swish Frozen Yogurt is a new yogurt shop here in Katy. They serve a variety of frozen yogurt flavors served in waffle bowls with delicious toppings like fresh fruit. Stop in and support this new local business by enjoying a great dessert with calcium and probiotics! U-Swirl frozen yogurt is another self serve frozen yogurt shop where you are free to create your own combination and ratio of flavors and toppings! They have classic flavors like Alpine Vanilla, along with specialty flavors like Apple Pie and Cookie Madness. Next time you’re craving something sweet, try some ice cream or frozen yogurt. Just be sure to enjoy in moderation, and promise us you’ll brush your teeth after! Previous post:Dentists Like to Laugh Too!